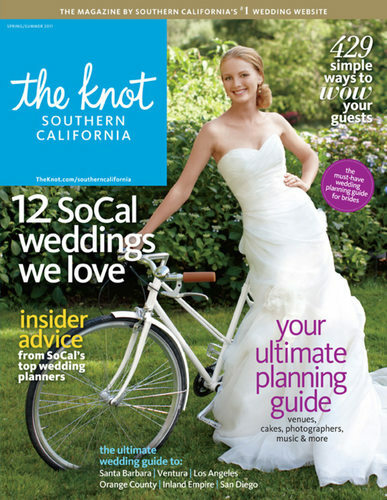 Saddlerock Ranch wedding photography in Malibu, CA published in the Southern California edition of the Spring/Summer 2011 issue of The Knot magazine. 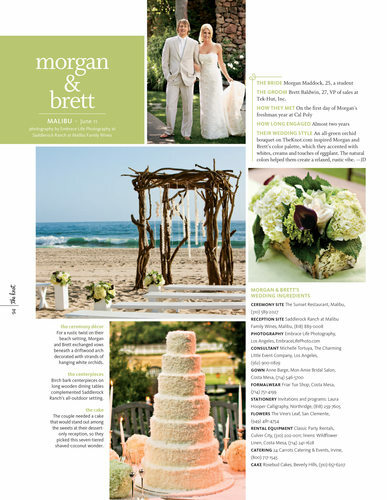 The magazine featured four photographs of this glam beach and winery wedding by destination photographer, Embrace Life Photography. With the help of a great team of vendors, Los Angeles wedding consultant, Michelle Tortuya, of The Charming Little Event, created the incredibly relaxed, yet elegant effect of bringing together the rustic theme with the scenic beauty of the ocean and winery. The ceremony took place on the beach in front of Sunset Restaurant, Malibu with the reception following at the beautiful Saddlerock Ranch Malibu Family Wines.